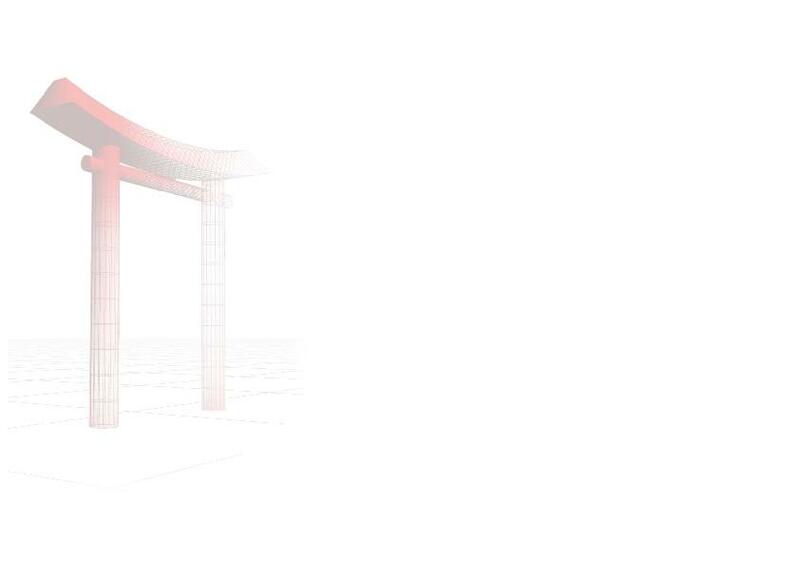 This year Genseiryu exists 55 years. 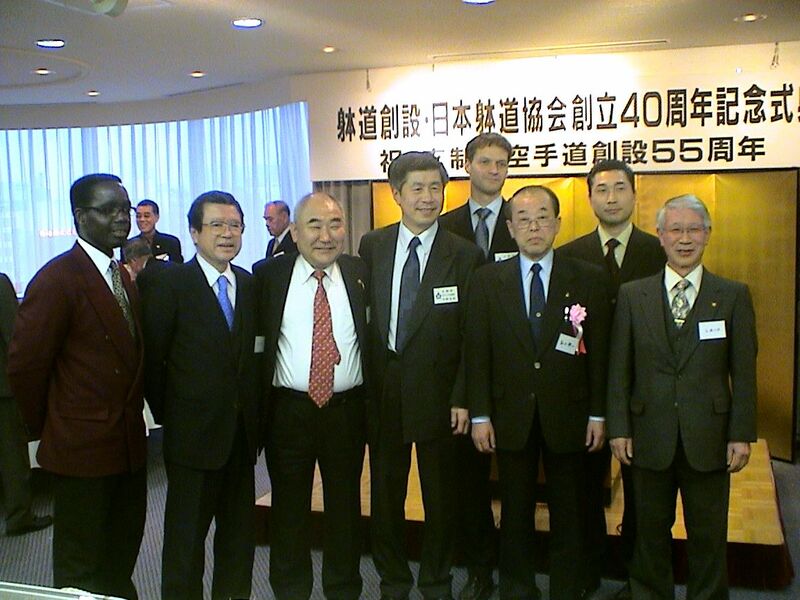 Taido now exists 40 years. 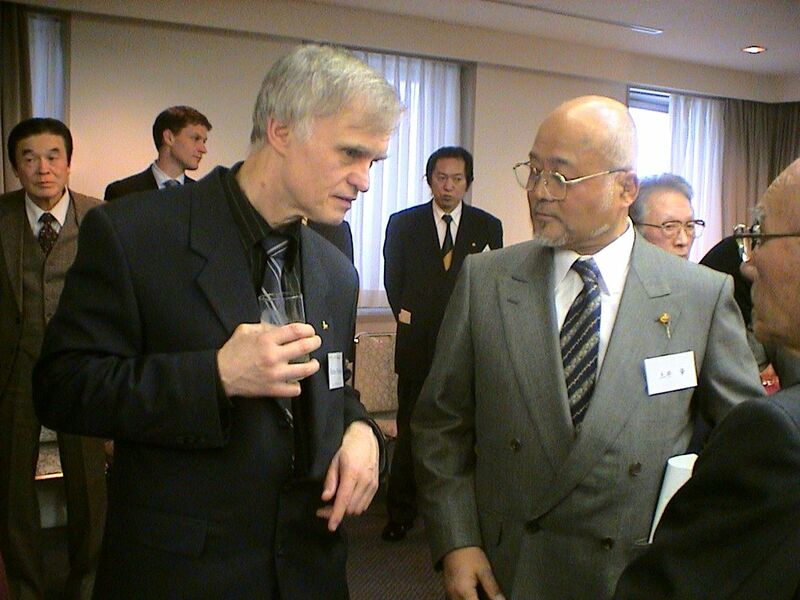 Since both martial arts styles (both developed by Sensei Shukumine) are in close contact with each other, both happenings were celebrated together in Tokyo on the 23th of January 2005. 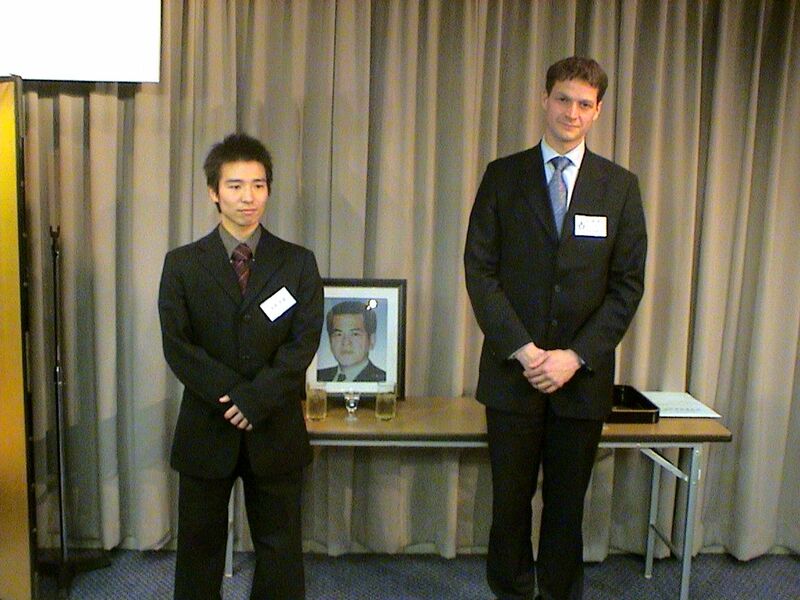 The KLM Genseiryu Karateclub / Genseikan Anna Paulowna (e.i Genseiryu Netherlands) was also invited to this joint celebration! 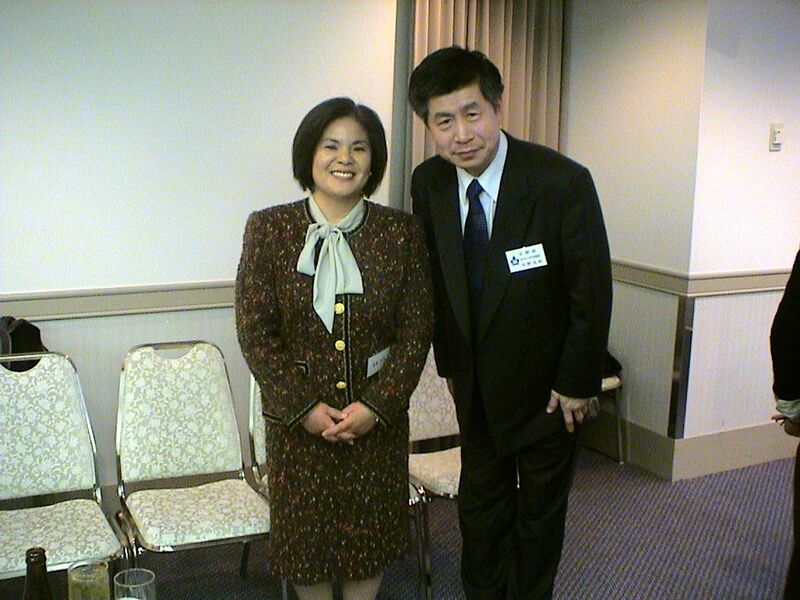 Click on the picture to enlarge to original size! Use the "back arrow" of your browser to return. 6-1. 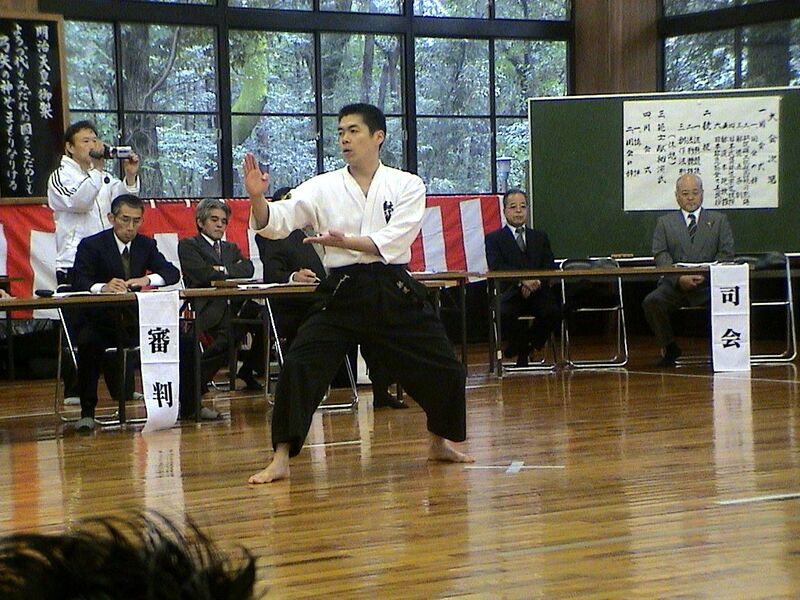 In the morning the celebration started with Taido demonstrations and some kind of, I think, exams taking place at the Meiji Shrine, located in Yoyogi Park in Tokyo. 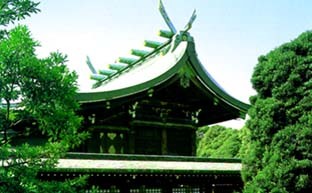 Although we didn't get to see much of the Shrine itself, it was nice to be at such a famous place, even with temperatures around freezing point (inside!!!). 6-3. 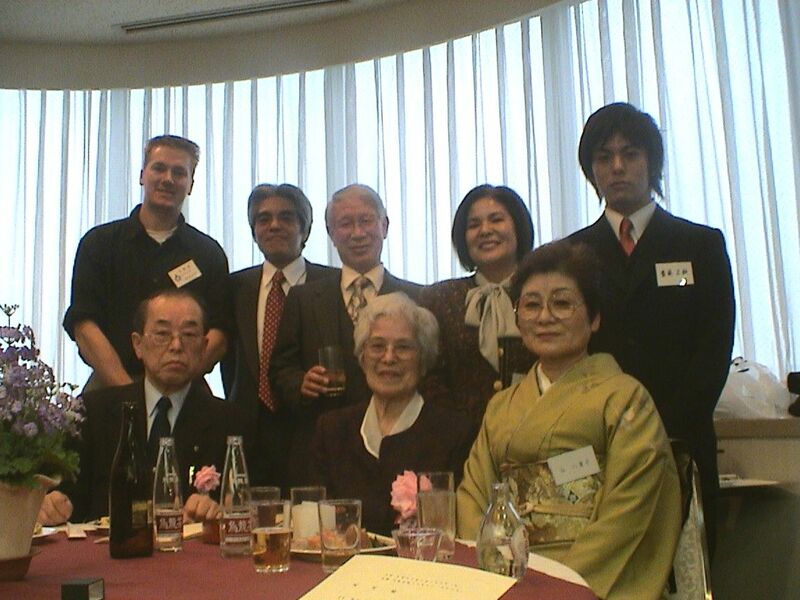 The gentlemen of the jury... Notice in the background some very special guests: the son and daugther of Sensei Shukumine Seiken. 6-4. Yep! That's him! 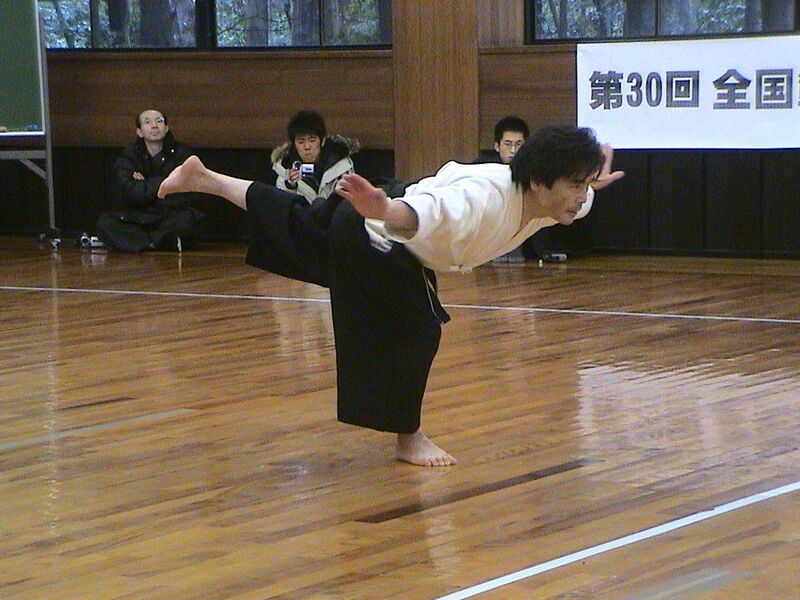 The son of Sensei Shukumine Seiken. 6-5. 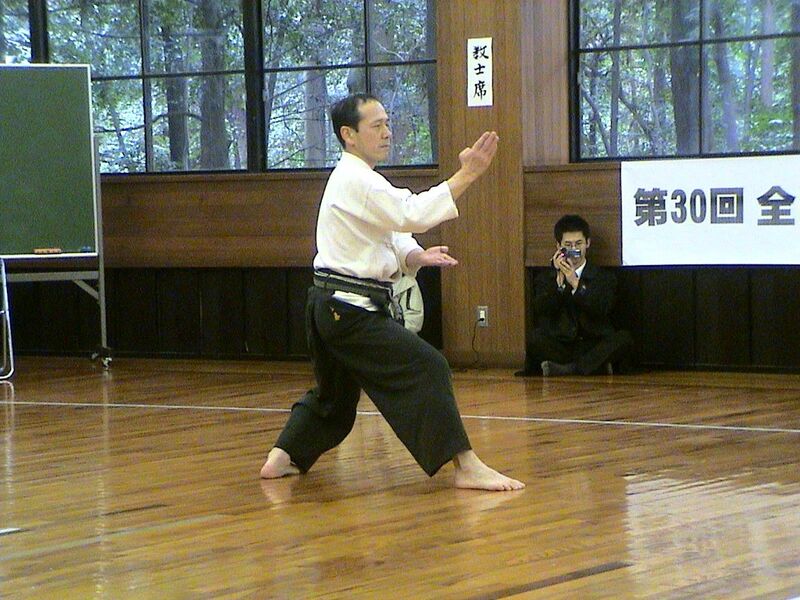 The next pictures show some people performing in Taido Kata of their choices. 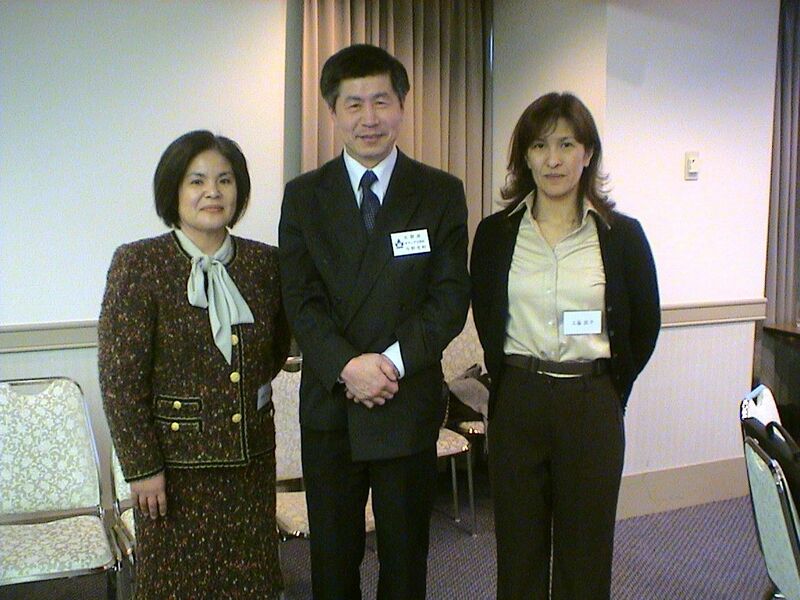 Click on the pictures to enlarge them (use the back arrow of your browser to return here). 6-7. 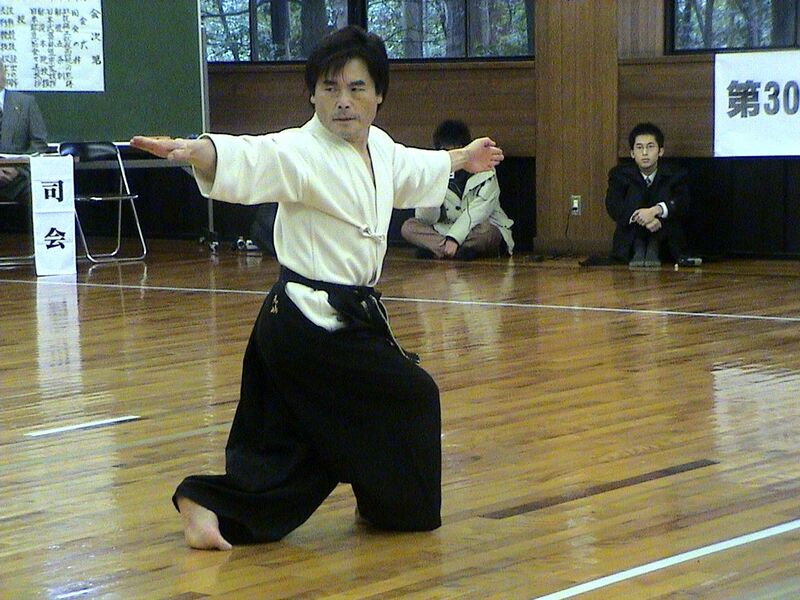 This is a difficult part of a kata: standing in this position and moving your arms, body and leg like a tree. 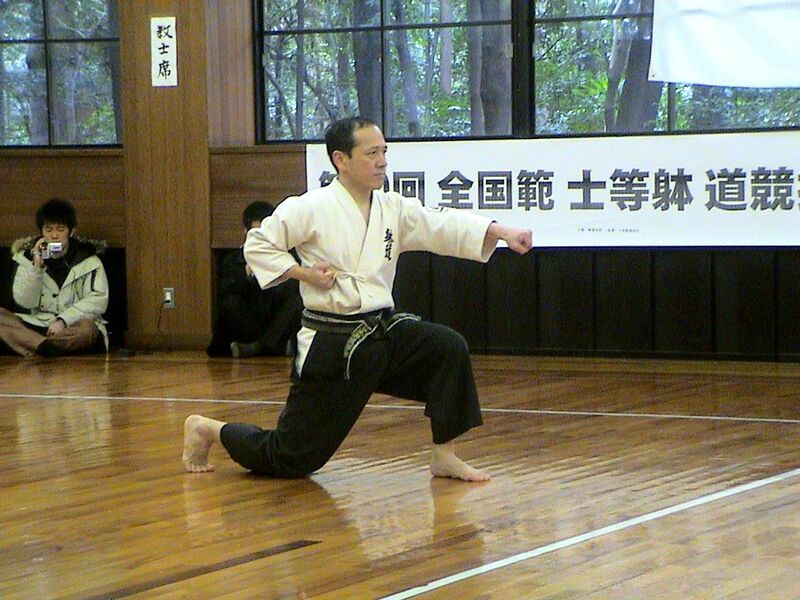 This kata is meant to imitate the life of a tree. 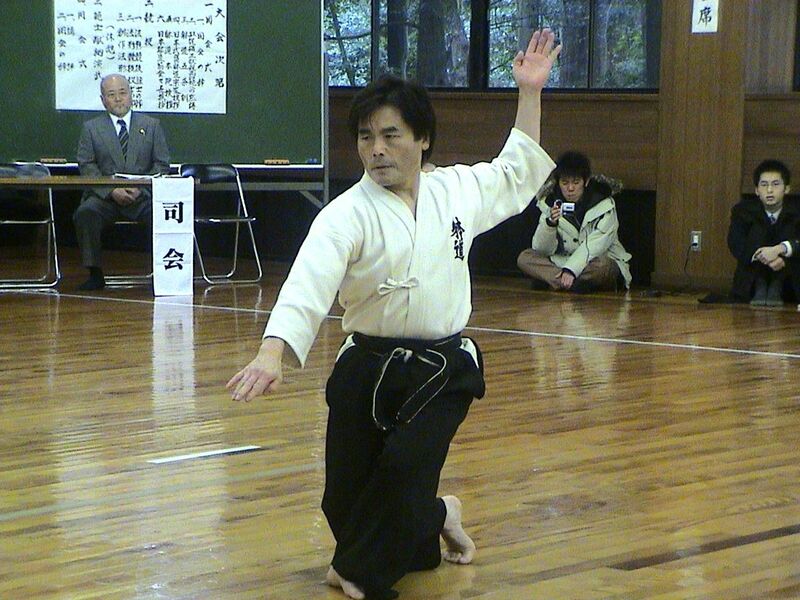 The man in the picture was awarded the 7th dan in Taido for his performance. 6-8. 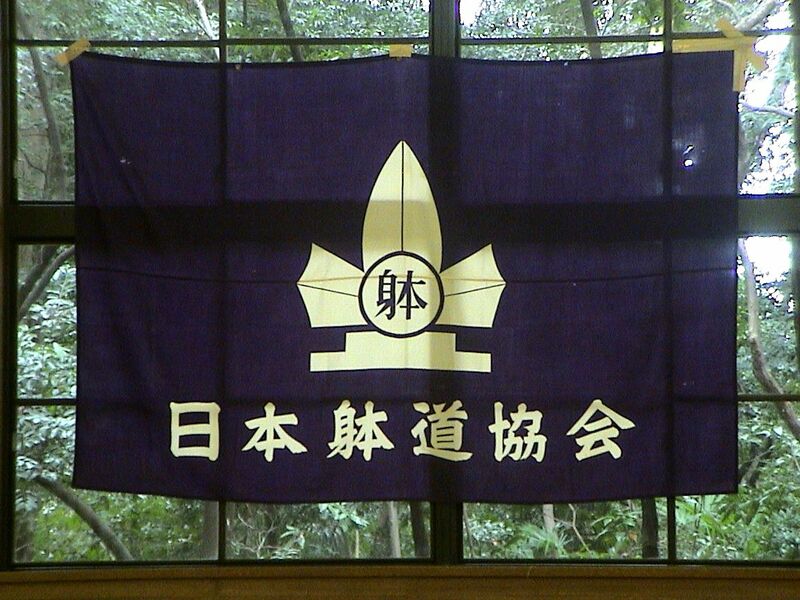 The Taido flag and a group picture of all the participants of the demonstrations/exams. 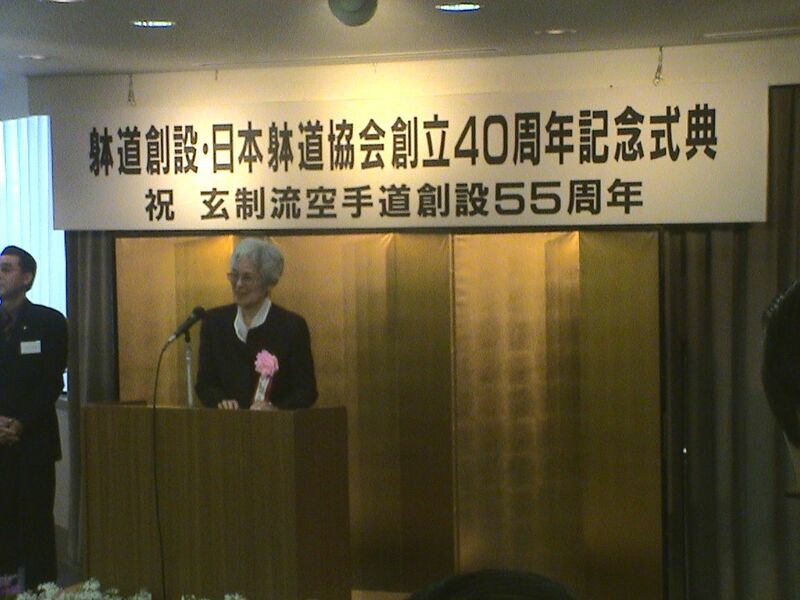 The text above Mrs. Shukimine tells about the celebration of 40 years of Taido and 55 years of Genseiryu Karatedo . 6-10. 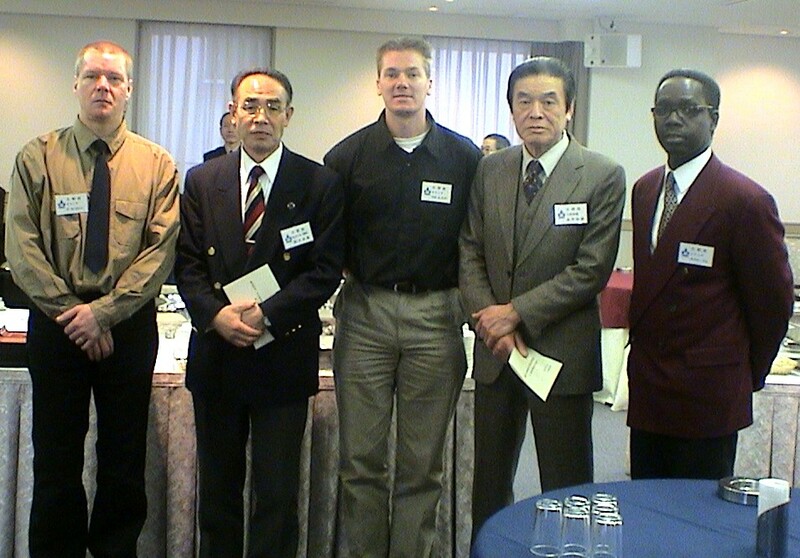 Some of the Genseiryu Netherlands group with two important Genseiryu Sensei, from left to right: Paul Schrama (secretary of KLM Karateclub), Sensei Shigeo Suzuki, Mario Roering (yes, the webmaster of this site and representative of KLM Karateclub), Sensei Yasunori Kanai (Head Instructor World Genseiryu and President of W.G.K.F. 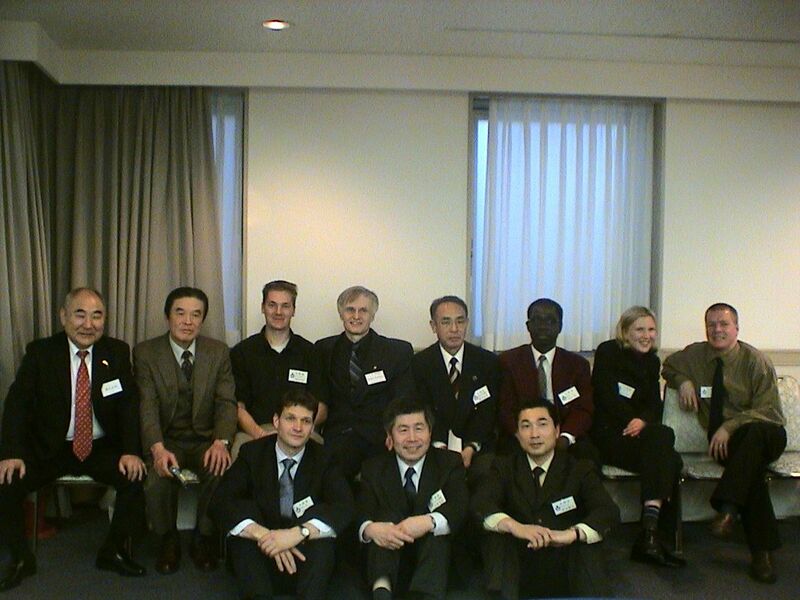 and All Japan Genseiryu Karatedo Federation) and Raoul Tehi (treasurer of KLM Karateclub). 6-12. 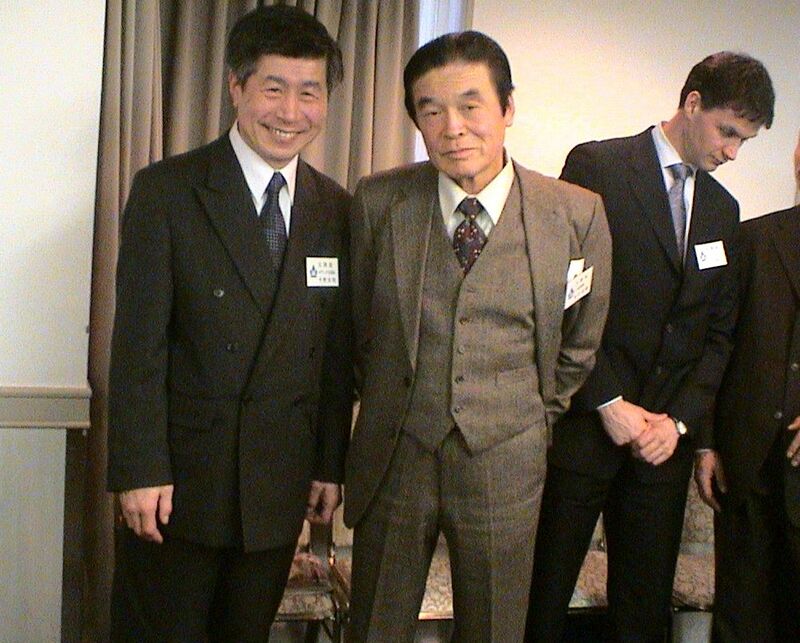 Sensei Nobuaki Konno (Genseiryu Netherlands), Sensei Yasunori Kanai (Head Instructor World Genseiryu and President of W.G.K.F. 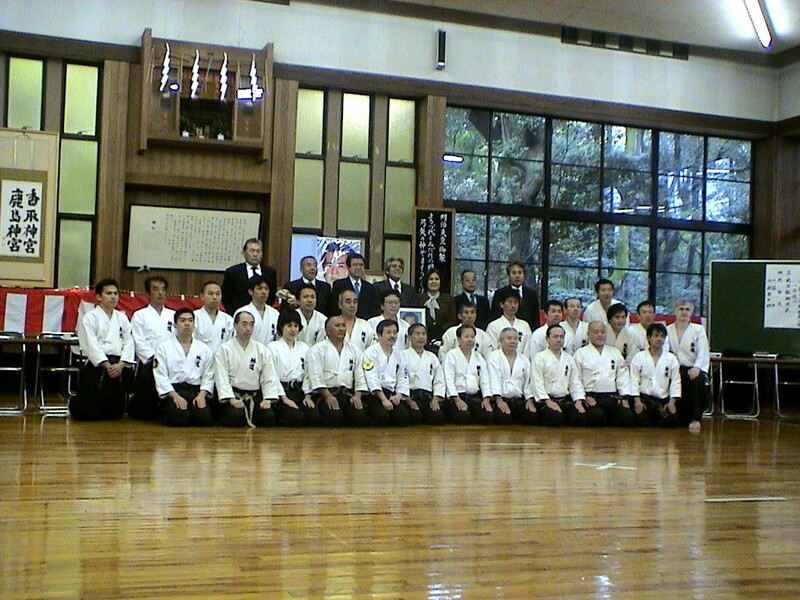 and All Japan Genseiryu Karatedo Federation) and to the right Sensei David Roovers (Genseiryu Netherlands). 6-13. 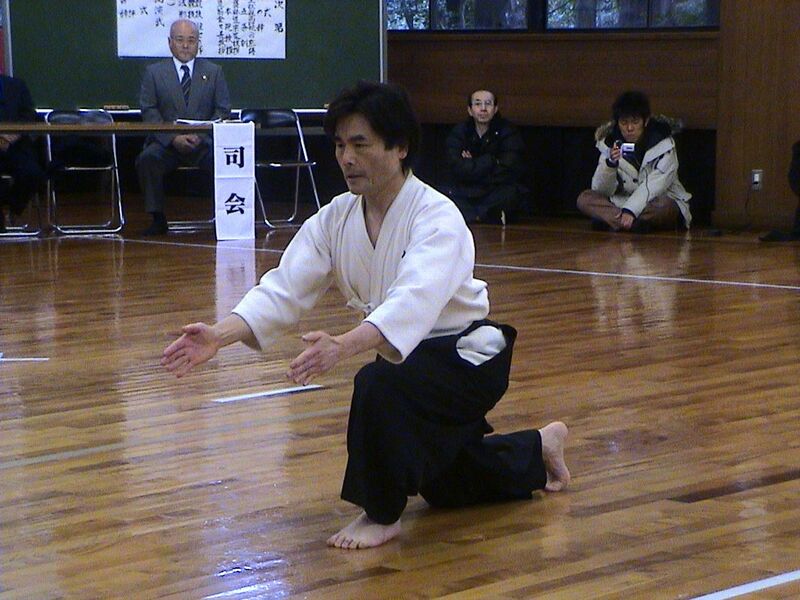 Sensei Nobuaki Konno (Genseiryu Netherlands) with one of the daughters of Sensei Shukumine. 6-14. 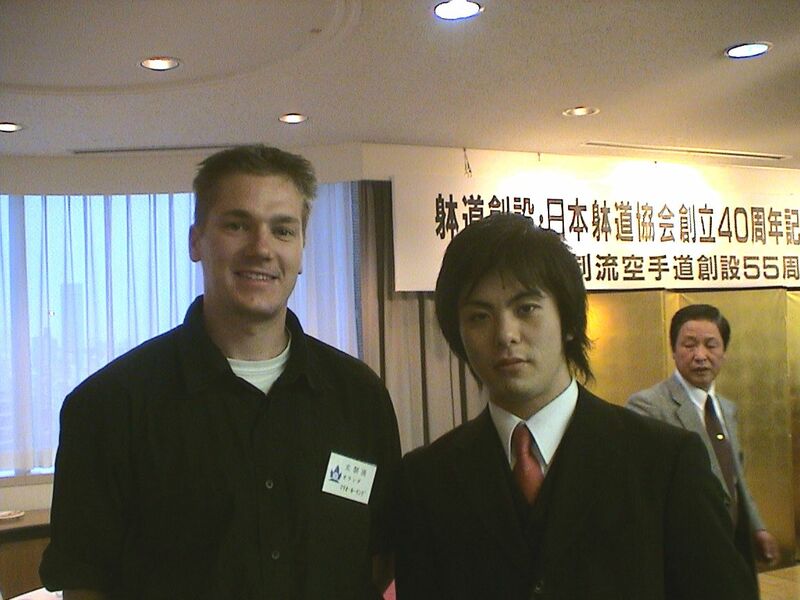 Me with one of the grandsons of Sensei Shukumine. 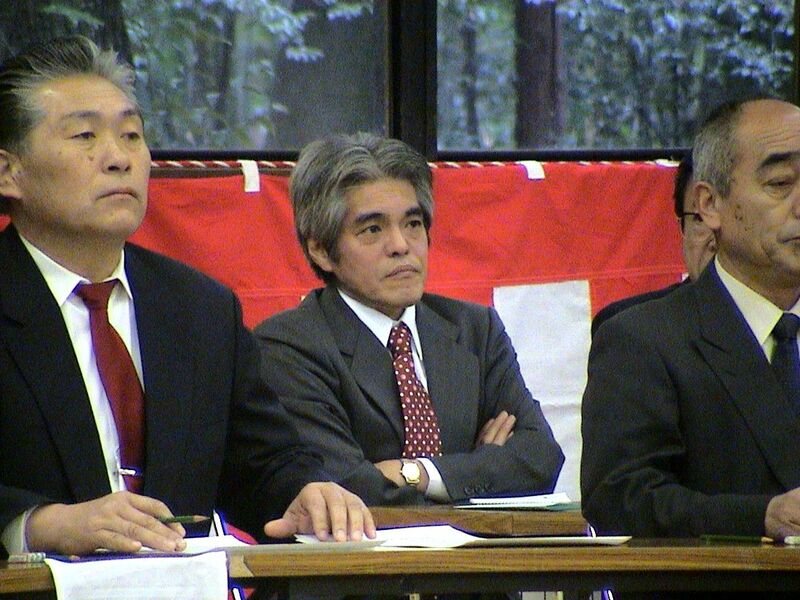 Upper row (from left to right): Sensei Hideo Fujimaru (Chairman World Taido Federation), Sensei Yasunori Kanai (Head Instructor World Genseiryu and President of W.G.K.F. 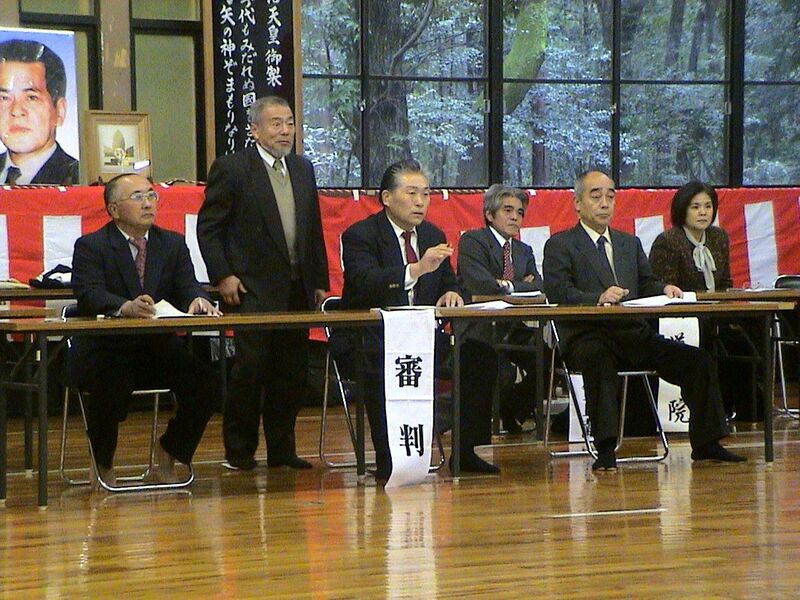 and All Japan Genseiryu Karatedo Federation), Mario Roering (Genseiryu Netherlands), Sensei Reine Persson (Taido Sweden), Sensei Shigeo Suzuki (Genseiryu Japan), Raoul Tehi (Genseiryu NL), Verena Fitz (Genseiryu NL), Paul Schrama (Genseiryu NL). 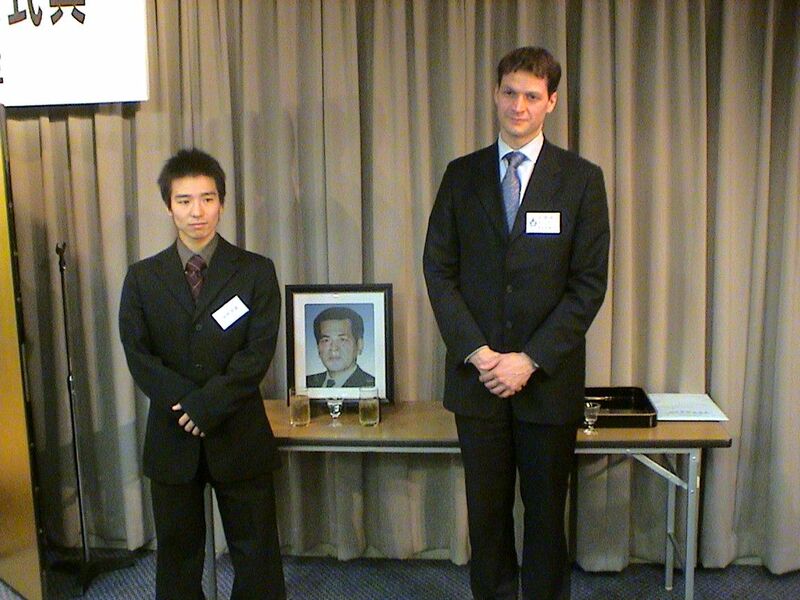 More pictures can be found also on this Japanese Genseiryu site (scroll all the way down)!